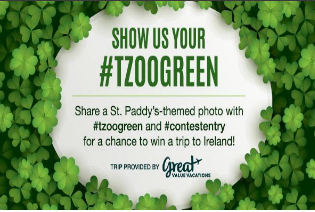 Travelzoo Show Us Your Green Contest – Win a trip to Ireland! Win a trip to Dublin, Ireland! ENTER SWEEPSTAKES HERE – Travelzoo Sweepstakes page. 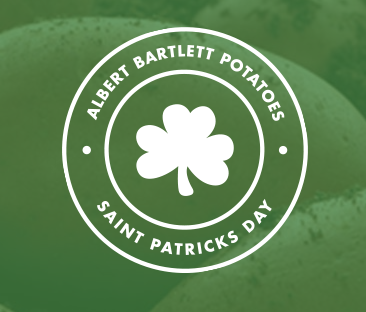 You will need to submit a St. Patty’s Day themed photo with your entry. ENTRY LIMIT – Limit: One (1) Entry per person per day regardless of method of entry during the Contest Entry Phase. ELIGIBILITY – The Contest is open to legal residents of the 48 contiguous United States including the District of Columbia, and Canada (excluding Quebec), age 21 or older at time of entry. SWEEPSTAKES ENTRY PERIOD – The Contest begins at 12:00:01 AM Eastern Time (“ET”) on Tuesday, March 1, 2016 and ends at 11:59:59 PM ET on Wednesday, March 16, 2016. The ARV of Grand Prize is: $3,200.00. Xfinity Watchathon Sweepstakes – Win $20,000! You do not need to be an Xfinity customer to enter (just be sure to click the “not a customer” link). ENTRY LIMIT – LIMIT: One (1) Daily Entry Period Drawing entry, one (1) First Prize Drawing entry and one (1) Grand Prize Drawing Entry per person and per email address per Daily Entry Period for a maximum of thirty (30) Daily, thirty (30) First and thirty (30) Grand Prize Drawing entries throughout the Sweepstakes Period. SWEEPSTAKES PERIOD – The XFINITY® Watchathon Sweepstakes begins on March 14, 2015 at 12:00:00 PM Eastern Time (“ET”) and ends on April 12, 2015 at 11:59:59 PM ET. PRIZES – One (1) Grand Prize: One (1) Grand Prize winner will be selected to receive $20,000 awarded in the form of a check. Approximate Retail Value (“ARV”) of Grand Prize: $20,000. Two (2) First Prizes: A total of two (2) First Prizes will be awarded as follows: 1) One (1) First Prize winner will be selected to receive a five (5) night, six (6) day trip to Northern Ireland and one thousand dollars ($1,000) spending money (awarded in the form of a check made payable to the Winner). ARV: $11,000; and 2) One (1) First Prize winner will be selected to receive a five (5) night, six (6) day trip to Scotland, one thousand dollars ($1,000) spending money (awarded in the form of a check made payable to the Winner), one (1) complete Diana Gabaldon Outlander Series eight book hardcover set and one (1) Outlander Kilt box set. ARV: $11,400. Daily Entry Period Prizes: Thirty (30) Daily Prize winners (one (1) winner per Daily Entry Period) will be selected to receive one (1) Binge Box consisting of the following items: one (1) 64GB Mini Tablet, one (1) pair of JBL on-ear headphones, one (1) Game of Thrones® hoodie, one (1) Game of Thrones® mug, one (1) Game of Thrones® figurine by Funko, one (1) pair of STREET by 50™ In-Ear Headphones, one (1) Outlander t-shirt, one (1) bag of microwave popcorn, one (1) bag of licorice, one (1) box of Junior Mints, one (1) bag of Skittles, and an assortment of Watchathon branded items including one (1) each of the following: mobile device stand, Remix 200 high definition headphones, 14 oz. mug, fleece hoodie, pair of ankle socks and portable rechargeable power bank battery. ARV of each Daily Prize: $875. MovieTickets.com “What If” Sweepstakes – Win a trip to Ireland! Win a trip for 2 to Ireland! ENTER SWEEPSTAKES HERE – MovieTickets.com Sweepstakes page. You will need to have a MovieTickets.com account (it’s FREE). ENTRY LIMIT – Limit of one (1) entry per person and/or per email address and/or per household. ELIGIBILITY – This Sweepstakes is open to any individual who, as of the beginning of the Entry Period (a) is a legal resident of the continental United States (excluding Alaska, Hawaii, Rhode Island, Guam, Puerto Rico, and all other U.S. territories and possessions); (b) is eighteen (18) years of age or older; (c) has access to the Internet; and (d) is a registered user of MovieTickets.com. SWEEPSTAKES PERIOD – The Sweepstakes entry period begins on August 4, 2014, at 4:00 p.m. Eastern Time (“ET”) and ends on August 24, 2014 at 11:59 p.m. ET. PRIZES – One (1) Grand Prize is available. 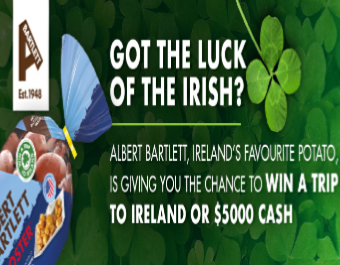 The Grand Prize consists of: a certificate valid for one (1) trip for two (2) to Ireland. The trip certificate includes the following: (a) round-trip coach airfare to Ireland for two (2) (ARV: $1,500 per person); (b) hotel accommodations at a designated Delta Vacations hotel, (ARV $1,500); and (c) one (1) rental car (ARV $400) (the “Grand Prize”). The approximate retail value (“ARV”) of the Grand Prize is $4,900.00.